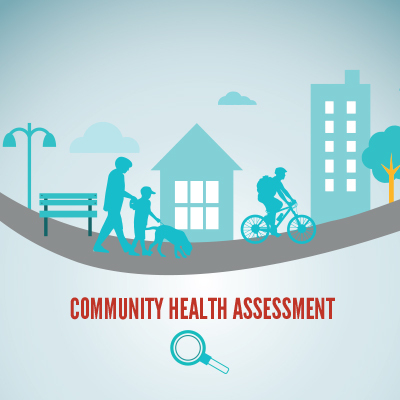 The Franklin County Community Health Assessment (CHA) is a report on the status of the health and well-being of our residents and identifies four health priority areas. The Franklin County Community Health Improvement Plan (CHIP) is a plan for action developed by a partnership of community agencies, organizations and health care providers brought together by Health Works Franklin County to address the four health priority areas. How was the Franklin County Community Health Assessment (CHA) completed? The first step was to complete a comprehensive collection and analysis of data that was used to identify the health needs of our community. This data report is a snapshot of the health and well-being of residents in Franklin County and it served as a road map for addressing those health and health related issues impacting the overall health of our communities. This report was used at five regional community forums in 2017. The intent of the community forums was to get direct feedback from individuals that live, work and play in the communities we serve about the factors that impact health. At these forums, residents joined us, participated in discussions and provided feedback regarding the most pressing health needs impacting their communities. 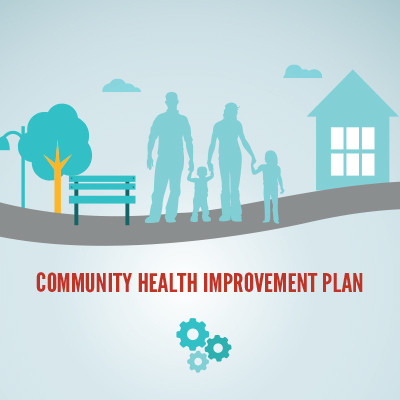 How was the Franklin County Community Health Improvement Plan (CHIP) created? With the CHA completed we had a roadmap to inform community decision-making, the prioritization of health problems and ultimately the development of the 2018-2020 Franklin County Community Health Improvement Plan (CHIP). The CHA was an important piece in the development of a CHIP because it helped the community understand the health and health related issues that need addressed. It also provided the most current and reliable information about the health status of our community and where gaps may exist in achieving optimal health. FCPH engaged and convened Health Works Franklin County to complete the CHIP process. Health Works Franklin County is a partnership between the Franklin County Board of Commissioners and FCPH that also includes government agencies, non-profit organizations, and healthcare organizations from throughout the community. A collective impact approach was used to ensure sustainable progress. Collective impact is based on the idea that in order for organizations to create lasting solutions to social problems, they need to coordinate their efforts and work together around a specific set of goals. Members worked together and determine outcomes, health equity populations, strategies and action sets for each of the four health priorities identified in the CHA. FCPH will serve as the backbone organization to provide ongoing support for the work that will be done by many partner organizations to address the priority areas, outcomes, strategies and action steps identified in the CHIP. The work identified in the CHIP does not include all of the work of FCPH or our public health partners. Instead it serves as a strategic guiding document to align efforts across our community with the four priority areas. Franklin County Public Health believes the Community Health Assessment (CHA) and Community Health Improvement Plan (CHIP) are major steps in fulfilling our role as the public health Chief Health Strategist by working in structured, cross-sector partnerships, addressing the social determinants of health, and making timely, reliable, and actionable data accessible to communities. For additional information on the CHA or CHIP contact, Theresa R. Seagraves, FCPH Director of Health Systems and Planning at (614) 525-4921 or TheresaSeagraves@franklincountyohio.gov.